Steeking the fear right out of me. Ok. 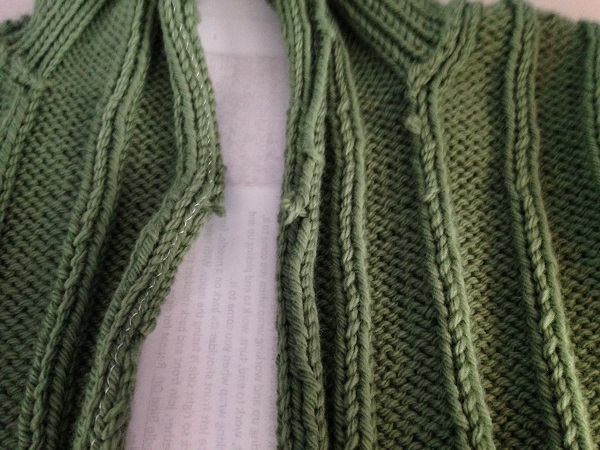 So, where we last left things was that I was going to attempt the steeking of Paul’s Perun vest when I was freshly awoke today. I woke up at 4am because the wind was trying to blow the house down, so I figured I needed to get up to make sure I could hold the house together if it started falling apart. Seeing as how I was wide awake, I did a few hours of my proofreading work. 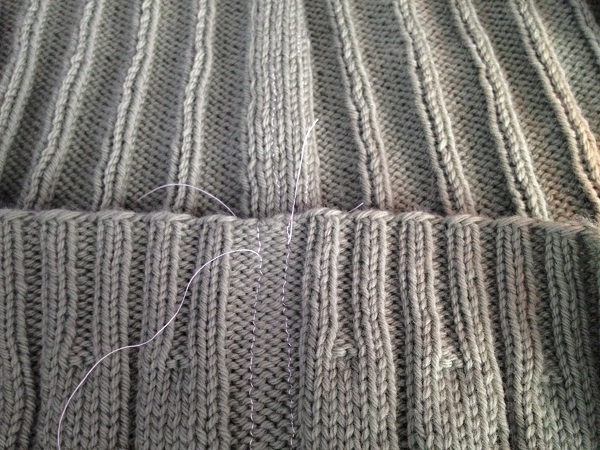 For some reason that seemed ok to do at 4am but steeking was not ok to do at 4am. I waited until 8am. Not freshly awoke but not a zombie yet from being awake at 4am. I busted out my hardly ever used sewing machine and found out that it actually still works and I didn’t even need to oil it or anything. Not that I have any oil or that I would know where to put the oil. It was done. 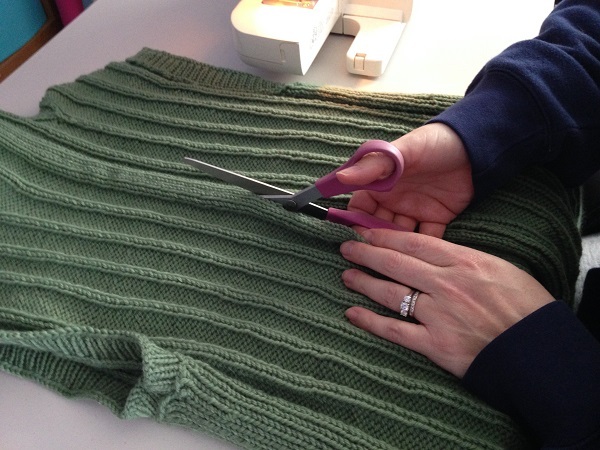 And I was trying not to worry about those frayed, cut yarn ends. And now that it’s done, I’m glad and it wasn’t terrible and now there just isn’t a darn thing I can do but keep moving forward because I can’t un-steek it. On to zipper installation. Here is where things went all kinds of more wrong. I changed to my zipper foot and well…it just…sort of…well, sucked. Because it was no longer the walking foot, which you use with thicker fabric so things don’t stretch and get skewed, things stretched and got skewed and even though at the outset the zipper was the right length, it ended up 5 inches too short and the fabric got all rippley and wavy. Oh man, that just really was awful. As I undid the stitching (which is much harder to do with a zipper), I came to the realization that I will have to sew this by hand. Blech. Then I started worrying that all that sewing and undoing was making the cut part get too frayed and that hand sewing it will make it even worse. 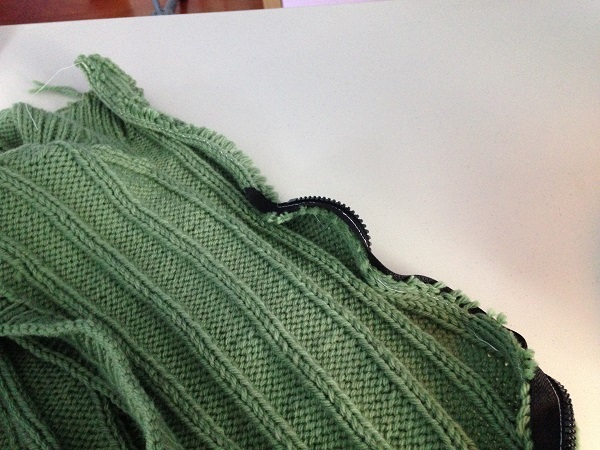 So, now that my fear of steeking is conquered, I have a fear of hand sewing a zipper. After that, I decided I had enough for the day (at 10am) and put it down. As long as I don’t obsess too much about those frayed ends, I will attempt some hand sewing, maybe tomorrow, when I am yet again freshly awoke. Stay tuned. 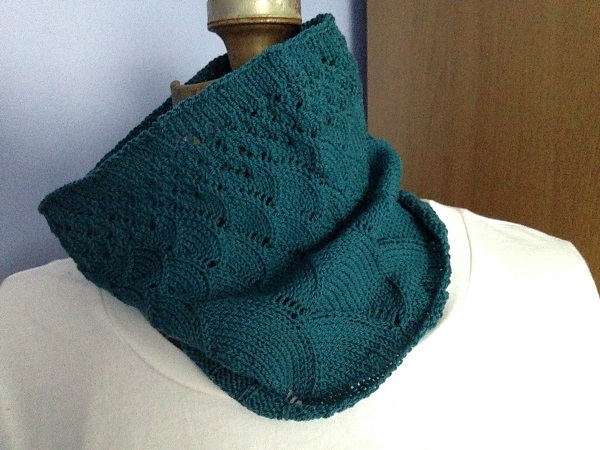 In the meantime, I finally found a shawl pattern that I am excited to knit and to teach! 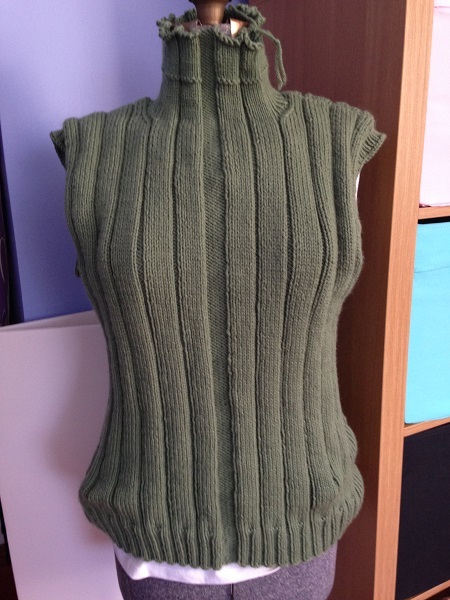 This pattern is Diane by Romi Hill. I. Love. It. Already. It’s got a really cool construction which will make for a fun class for people to learn some new things. And it is pretty. 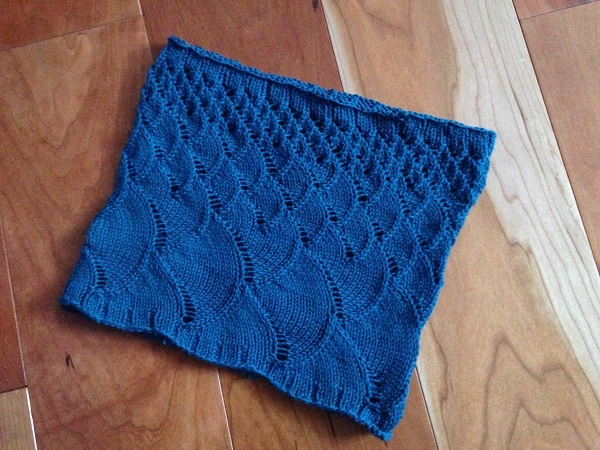 And here are some non-dishcloth-background pictures of the Song of the Sea cowl. The top picture is the more accurate color. And finally, a book recommendation. I just finished The Nightingale by Kristin Hannah. Sad, but really really good. That is all for today. 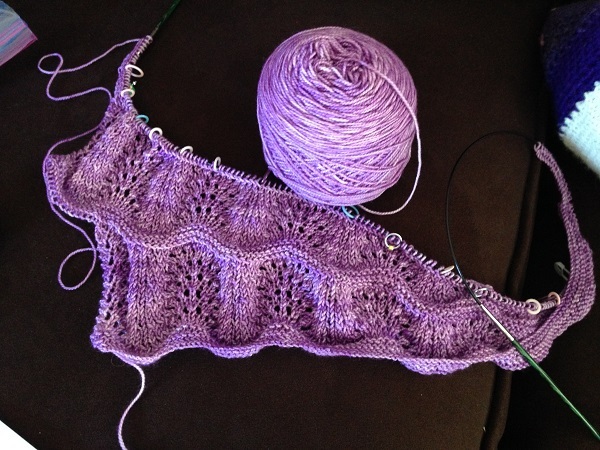 I’m going to knit. 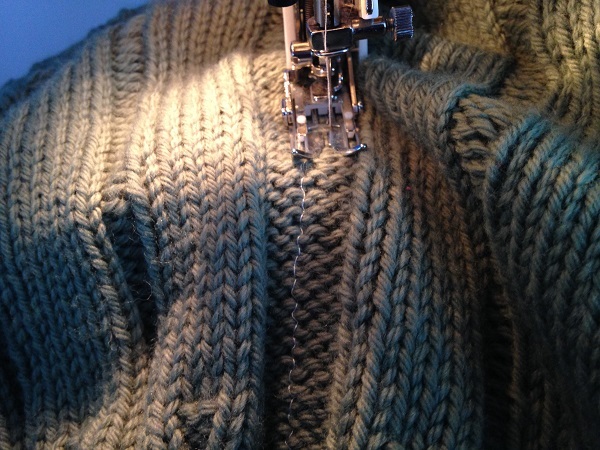 Posted in Uncategorized and tagged diane, hand sewing, kristin hannah, perun, romi hill, steeking, the nightingale on February 26, 2016 by lizytish. 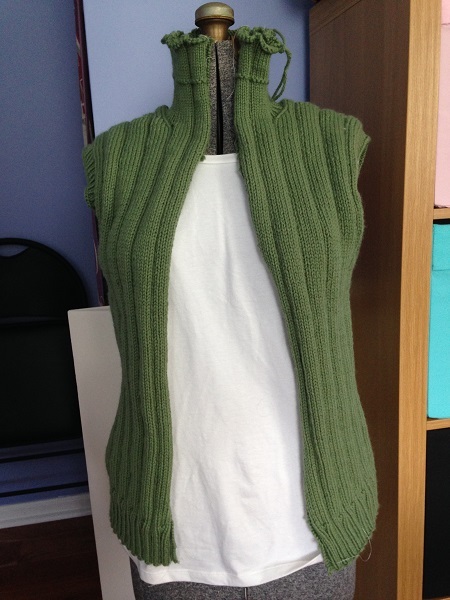 The vest is looking good Liz. Good job on the steek. 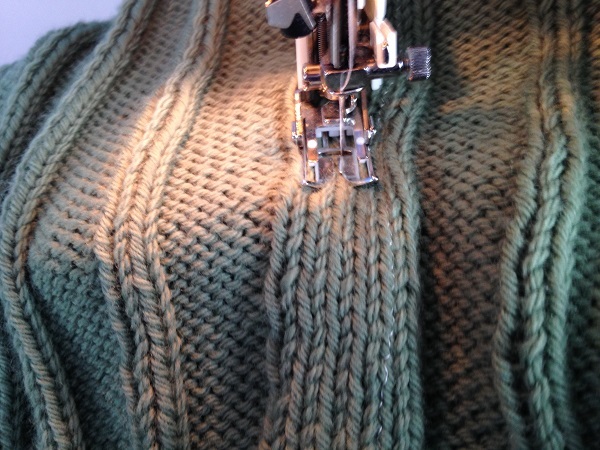 I have hand sewn zippers into knitting and you should have no trouble. Thanks – just trying to convince myself it will only take a couple of hours rather than 10 million!